The Milky Way rises over Copper Breaks State Park, Texas. Photo by Koustav Sinha. TUCSON, Ariz. – Texas state parks remain among the few public places in one of the nation’s most populous and increasingly urbanized states where the starry heavens can be viewed in all their celestial glory with only minimal intrusion of artificial light. Copper Breaks State Park in the Panhandle Plains and Enchanted Rock State Natural Area in the Hill Country are the first Texas state parks to be designated International Dark Sky Parks by the International Dark-Sky Association. Copper Breaks and Enchanted Rock, which were awarded the highest “Gold-tier” night skies status by IDA, join Big Bend National Park and the City of Dripping Springs as the only locations in Texas to have earned the coveted Dark Sky Places recognition. Since 1988, the non-profit, Tucson-based organization has been promoting night sky conservation and environmentally responsible outdoor lighting throughout the world. Since IDA established the Dark Sky Places Program in 2001 to recognize excellent stewardship of the night sky, eight Communities, 19 Parks and eight Reserves have received IDA recognition. For many years, Texas state parks in rural areas, such as Copper Breaks and Enchanted Rock, have conducted regular star-gazing programs and events to engage and educate the public about the importance of preserving pristine night skies that make the viewing of constellations, planets, stars, satellites and other objects possible. In recent years, the Texas Parks and Wildlife Department started recognizing the impact of urban sprawl and resulting light pollution on many of its 95 state parks and is developing policies and lighting management plans to address the issue. Texas State Parks leadership is partnering with the McDonald Observatory and the Texas chapter of the IDA to audit the night skies above the parks and implement their recommendations. Management at both Copper Breaks and Enchanted Rock underwent a lengthy IDA application process to document the sites’ dark sky attributes and outline steps already taken to comply with dark-sky best practices, as well as to show wide support from TPWD leadership, local governments, park Friends Groups and community conservation and astronomical organizations. The applications had to be favorably reviewed by the IDA’s Dark Sky Places Committee and subsequently approved by the association’s board of directors for the parks to attain the coveted Dark Sky Park designation. Other Texas state parks, including Big Bend Ranch State Park in far West Texas, have applied or are in the process of applying for Dark Sky status. Copper Breaks State Park, located 13 miles south of Quanah and 22 miles south of the Oklahoma border, has for 19 years capitalized on its superb celestial assets by hosting Star Walks and other astronomy programs, according to park superintendent David Turner. Turner says the park replaced many of its outdoor lights with more efficient, low-light fixtures and retrofitted others to keep light from emanating upward, helping keep night skies darker and lowering energy bills. 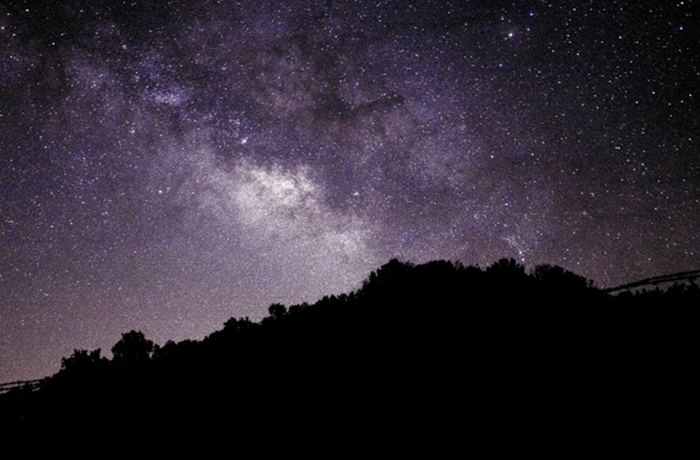 To learn more about stargazing opportunities in Texas state parks and night sky darkness ratings as measured by the Bortle Scale, visit: http://www.tpwd.state.tx.us/spdest/programs/dark_skies/. More information about light pollution and the negative effects of light on visibility, wildlife, human health and energy use is available on the IDA website at https://www.darksky.org.